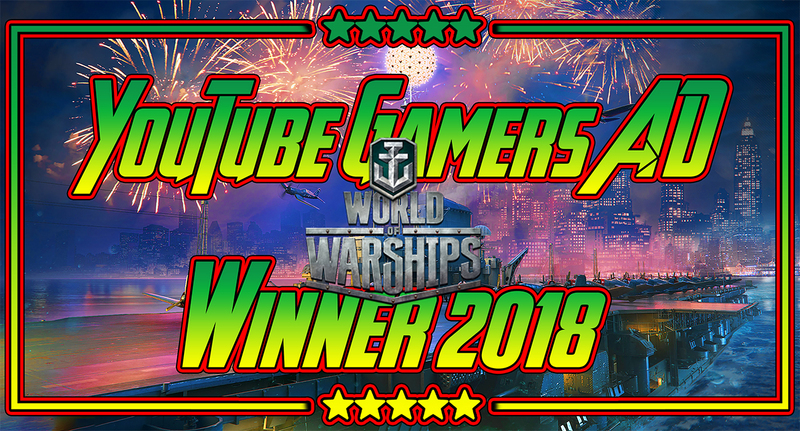 Home » competition , winner , world of warships , youtube » World of Warships - Winner of YouTube Gamers AD of the Year 2018. World of Warships - Winner of YouTube Gamers AD of the Year 2018. Congratulations to the Wargaming @MrConway @Tuccy, World of Warships team, for winning the #TheYouTubeAd That Frees Your Inner Gamer 2018, ahead of games such as Fortnite, Clash of Clans and NBA. You made us proud to be a part of your community. A Bonus Code or 🎁🎁 Santa Container 🎁🎁 would be most welcome to the playerbase for their support.